Our commercial flight got us as far as the island of Unguja. 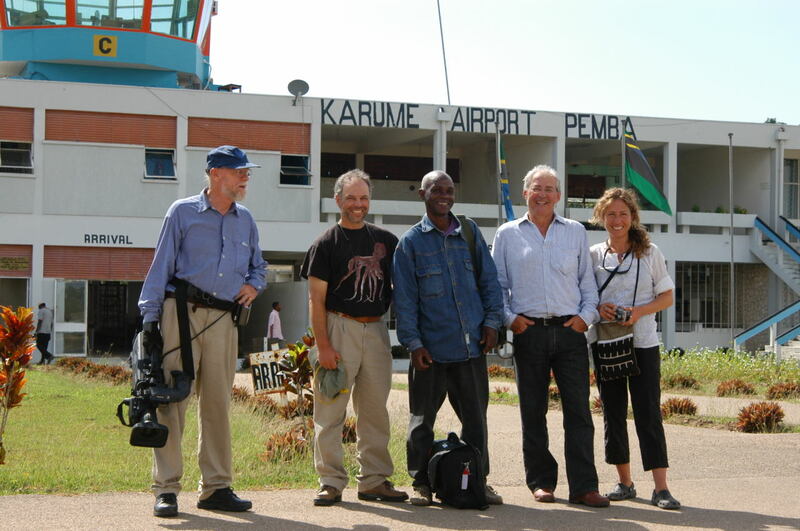 A charter flight took us the last leg of our trip, to Pemba Island. We’re off the coast of Tanzania, East Africa. 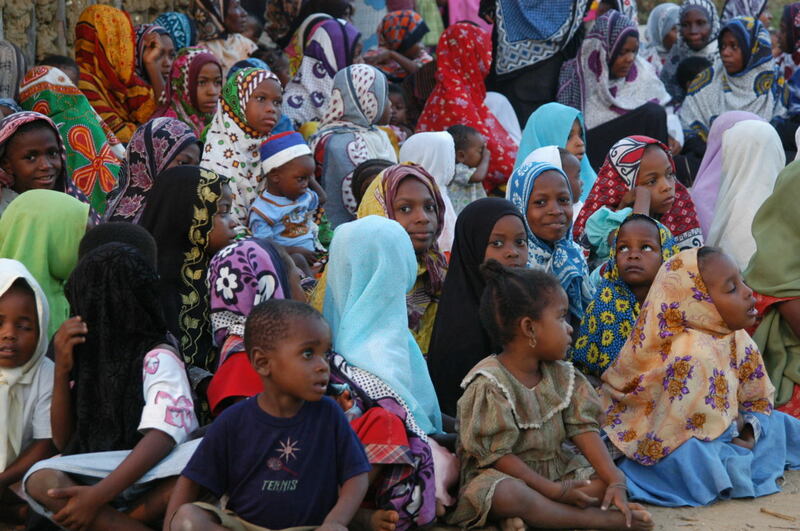 Collectively called Zanzibar, these islands are part of the “Swahili Coast.” The mainly Muslim sub-culture here has been deeply influenced by centuries of ocean-going sailing trade with Arabs. We’re filming the second and final shoot of the pilot for our planned TV series, “Saving the Ocean, with Carl Safina,” and here’s the angle: We’ll profile a new local effort by Islamic leaders to instill a conservation ethic in the residents and religious leaders of Pemba Island’s fishing villages. Our film crew consists of British-born director John Angier; Dutch-born cameraman Peter Hoving; Italian underwater camerawoman Valentina Cucchiara, who comes via her home on the Egyptian Red Sea; Kenyan sound man Hassan Ali Gharalla; and the kid from Brooklyn: me. This a culture straddling several centuries at once. Electricity, for instance, is a sometime thing. Power outages are daily, but many villages would never know—they don’t have electric lines. Or plumbing. 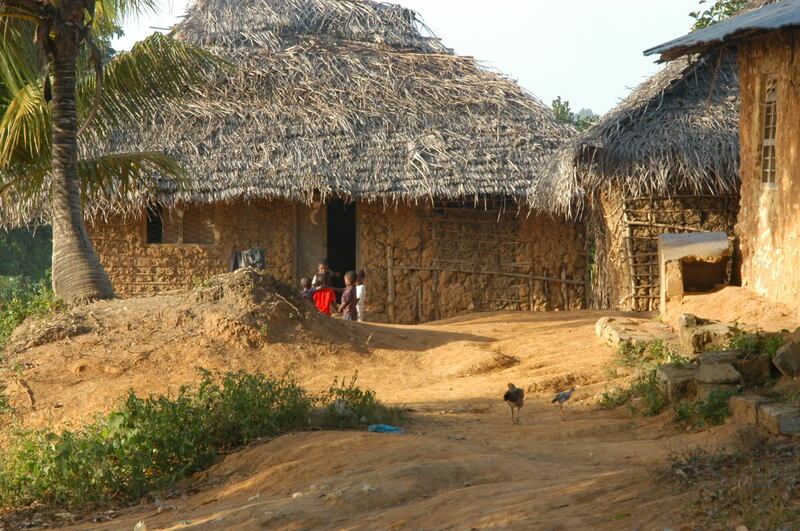 Many houses are mud and thatch. 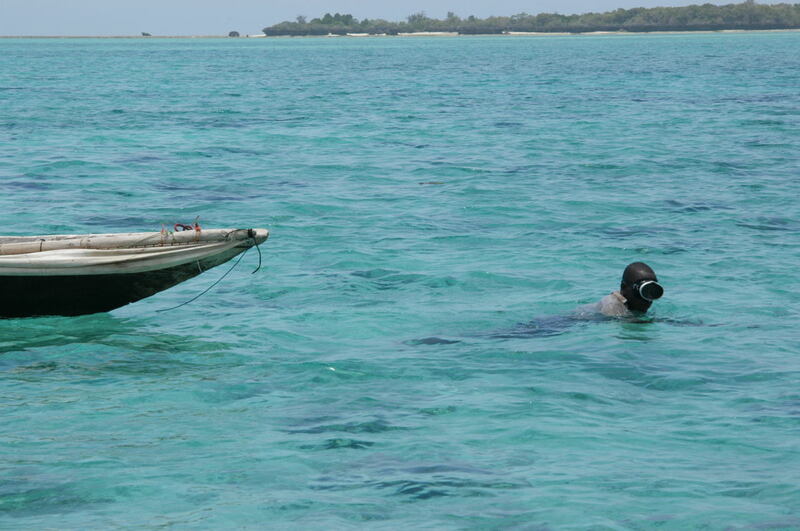 Around Pemba Island, tides range widely. At low tide many boats simply careen on the flats, stranded till the tide returns. The boats, all wooden, are called dhows. They have one mast, one boom, and one triangular sail. The boom is hoisted to the top of the mast, then angled at about 45 degrees. The sails assume a perfect shape and fill without luffing, even in the merest breeze. They look like they were built centuries ago; indeed, their design has probably changed little in thousands of years. 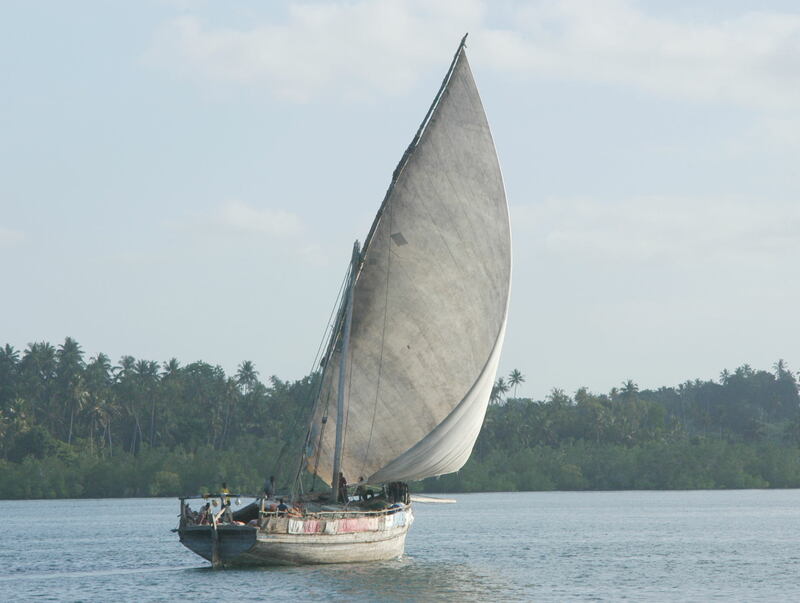 Many smaller dhows—mostly just dugout canoes fitted with mast and sail—work local waters. Much larger ones carry cargo along the coast. Fish are kept without ice, displayed without ice, sold without ice, and presumably, eaten quickly. 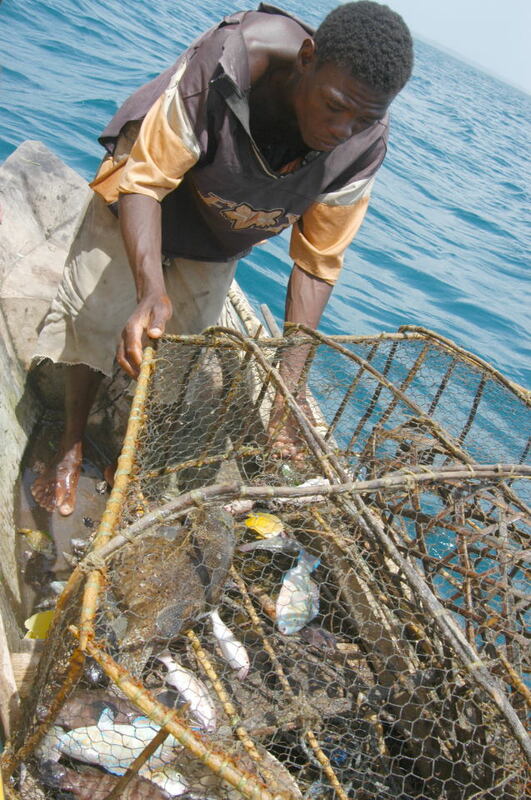 The people, heavily dependent on the sea for their livelihoods, catch various fishes, cephalopods (squids and their relatives), sea cucumbers, and snails, and collect seaweed. They use traps, nets and spears. The island of Misali lies on the horizon. Misali’s mystique derives from its legend. Story has it that in the past a prophet visited. When it came time to pray, his companion worried that they had no proper prayer mat. “The island will be our mat,” the prophet replied. And so the place, named after the Swahili word for “mat,” became imbued with a sense of holy presence. In addition, from the local villages it lies on the horizon in the direction of Mecca, deepening the religious overtone. Extensive flats wreath the island in a turquoise halo. Men hunt octopus hiding in patchy corals in the sparkling water. Their gear is simply a mask and a hook on the end of a stick. An area closed to fishing by the government, a little over a square kilometer, protects some of the island’s best coral. Outside that zone, fishing is allowed. But fishing with explosives or poisons, spear guns (the crudely homemade guns shoot their spear using simple rubber slings), and haul-seine nets are banned. The emphasis is on preserving the coral, which is home to rainbowed fishes on which the people’s survival depends. But this is an impoverished, imperiled paradise. At the village of Kichenjani, I join two barefoot fishers, Musser Khalfan (age 22) and Nassor Sleman (a hard-weathered 45 years old). 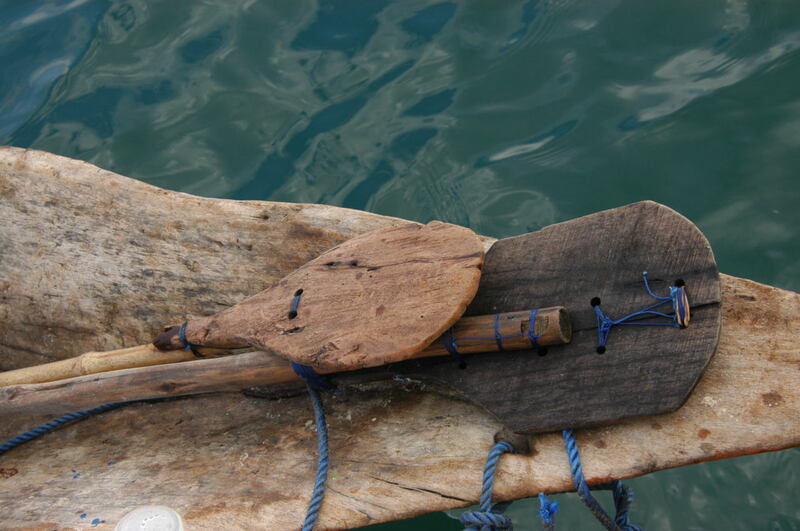 Using hand-carved paddles we pull seaward, then hoist the old, tattered sail. Nassor complains that as a young man he caught more fish. There are now too many fishermen, too many traps and nets all through this area—he gestures with his hand. Nearly 40 nearby villages send boats to fish the area. And more come from distant locales where they have already depleted their own waters. He complains—and this surprises me—that the area closed to fishing is too small. He says fishermen need many more such areas closed to fishing—because the closed areas produce the fish. “Everyone is fishing here,” he complains. “Everyone is coming to pressurize this area because the closed zone gives us fish.” He wants closed areas established in more places, so competing fishermen will have enough fish near their own villages—and won’t need to come here. Two brothers, Haji Faki Shehe and Juma Faki Shehe, in their 20s, use traps made from a frame of bent sticks covered with small-mesh wire. The funnel-shaped trap entrance is woven from palm fronds. They retrieve their traps with a short stick with several projecting branches and rock tied to one end—a Paleolithic grappling hook. Their first trap holds damselfish and butterflyfish the size of large potato chips, several small rabbitfish, a small porcupinefish, a puffer, and a lovely palm-sized cowry snail. They’d all look nice in an aquarium. If we caught these kinds of things back home we’d put them in a bucket of water and admire them, then set them free and go home for lunch. Here the bucket has no water, and they are lunch. Nothing gets thrown back. He says that the Qur’an instructs that if you destroy the natural environment you will be punished; from that punishment you must learn, and do things better. As examples he explains how the tsunami brought the worst damage where the people had cut down all the protective coastal mangrove trees and mined out the coral reefs. Mbarouk tells them that when fishing, they must let little ones grow; they will be much bigger next time they are caught. The students get it. From here Mbarouk takes us to Kukuu, another fishing village. The issue here is mangrove trees. They can form dense ribbons of forest between the sea and shore. In many areas mangroves are the first line of defense against flooding and storms. But here many have been cut. 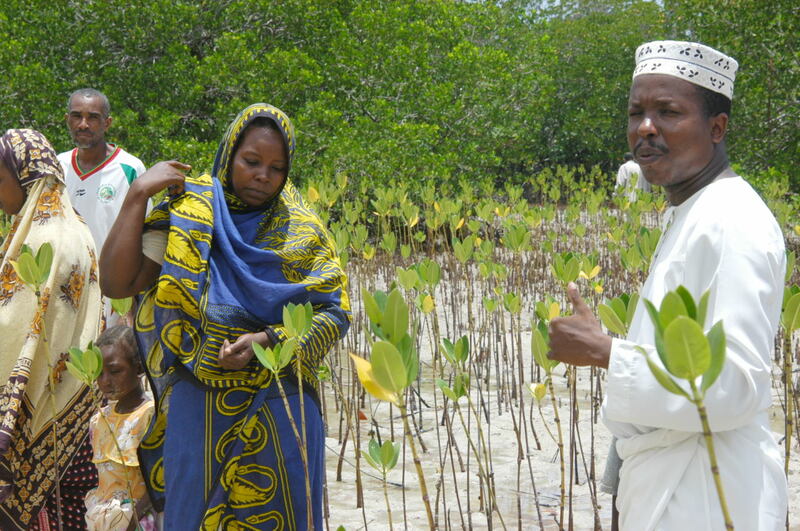 “If we cut all the mangroves,” he says, “the sea will come to our houses.” The Qur’an teaches, he says, that if you cut a tree you must plant a tree. I and about a dozen villagers who’ve been working on this project line up in an open muddy area adjacent to a nice stand of trees, and, on signal, begin planting. Our bare feet squish pleasingly through the mud as we plant a seed, take two steps, and repeat. When planting you simply push the lower third of the foot-long seed into the mud, leaving the remaining two-thirds standing. So the whole area looks immediately like a new little garden. Indeed, the group is eager to show how well seedlings of recent plantings are growing, filling in areas that had been cut-over. The Imam of the central mosque in Chake-Chake, Sheik Suleiman, is a tall man with quick bright eyes and a kindly bearing. 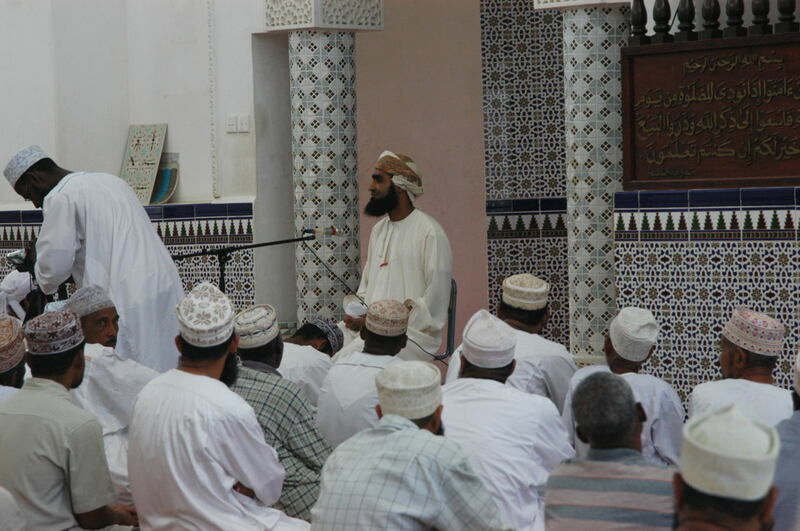 Today, he has convened about 50 Imams from around the island to meet for a couple of hours and discuss Islamic ethics and the Qur’an’s teachings as they relate to nature. Suleiman sees a deep connection between human well-being and the environment. For him, depletion of natural resources is linked to poverty in real, immediate, and life-threatening ways. 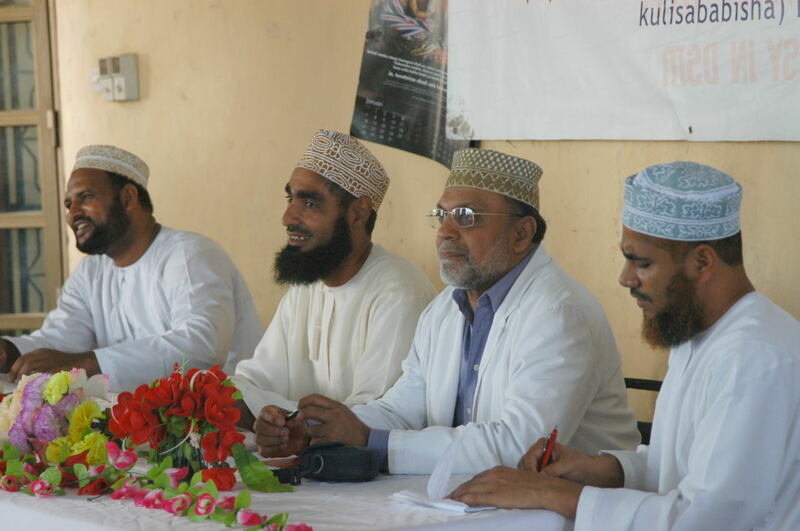 The final planned activity of the day is a ceremony wherein Fazlun Khalid of the Birmingham (England)-based Islamic Foundation for Ecology and Environmental Sciences will bestow upon the community a brand-new booklet, “Teachers Guide Book for Islamic Environmental Education.” The booklet uses six Islamic themes and numerous verses, and explains their implications for environmental ethics. The themes are Tawhid, the principle of unity, the nature of the Creator, and the importance of his Creation; Khalq, every single thing we see around us—the environment and ourselves; Mizan, the principle of balance on which all creation works; Insan, the purpose of humankind; Fasad, the human capacity for corruption, mischief, and destructiveness; Khalifa, our obligation as God’s steward on Earth and guardian of His creation. It’s printed both in English and Swahili versions, and Fazlun’s brought plenty of copies. Several hundred people gather outside a school under the shade of an immense mango tree. Musicians play drums and tambourines. Girls—despite being seated in formal assembly and Muslim dress—cannot keep their bodies from dancing in place to the rhythms. Several men in fine robes are performing a traditional dance. Tables and chairs are set for about two-dozen local dignitaries. The color, sound, and setting make it a picturesque pageant, indeed. The actual presentation is formal and rather solemn. The closing speech comes from the Mufti, a high-ranking religious leader, who reinforces the importance of conserving the natural environment. As the crowd begins slowly to disperse, the teachers try herding students back toward the school, but the girls keep asking the drummers to play so they can dance—and the drummers keep obliging. The Mufti expresses to me his personal approval and appreciation of this project, the booklet, and our visit. Hi Carl! Infact is a nice report but it will be better if we show and explain briefl Income Genereting Activities (IGAs) of Misali fishers. Because Misali Fishers they pruduce pressure to go Misali for fishing and now they are angage on other activities like Peanaple planting, banana planting, Bee Keeping, Vegeatable ect. Dear Carl, as always your passion for the environment, detailed journal of your adventures and enthusiasm for getting the word out, is an inspiration for everyone who cares about the world around us. Thank you for giving all of us this opportunity to experience life through your eyes and conveying what is really happening with your monolith of wit and wisdom. Keep up the great work. This is a deeply inspiring and hopeful project. People of more faiths, as well as agnostics and atheists, will surely join the effort as it expands exponentially, village by village, thanks to the extraordinarily creative efforts of people like yourself. Bravo. Congratulations to you and the crew of Ocean on finishing photography. I hope we all get an opportunity to experience Ocean! 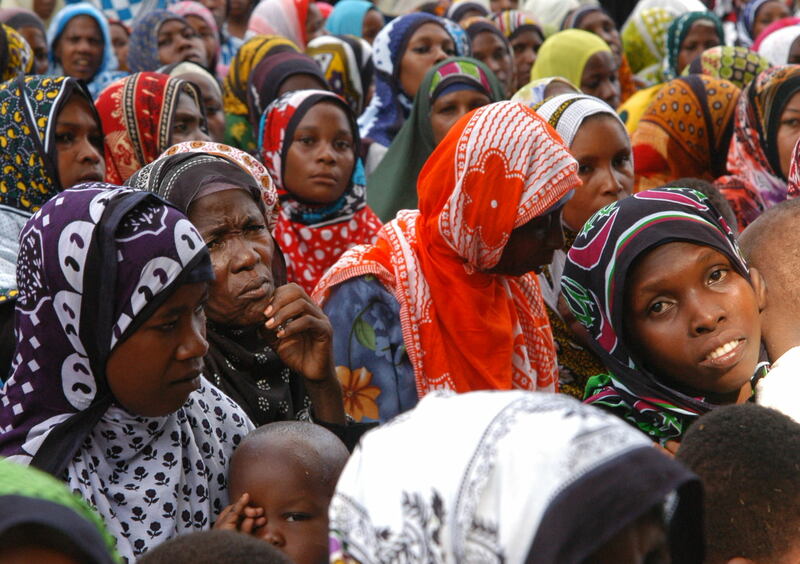 Thanks for sharing some of Zanzibar with us. While sitting here at my computer I felt like I was almost there. The photographs of the native people and that awesome wood sailboat are stunning. I advise you to include the name of the Prophet visited at Misali. His name is Prophet Hadhar. Also is better to write in swahili the word for mat “Msala.” It becomes “Misali” Island. Other people they dont know Misali Island so is not bad if you will explain briely about the importance of Misali Island. It has uncut Forest, Nice Beach, Coral gardens and important Marine Resources. 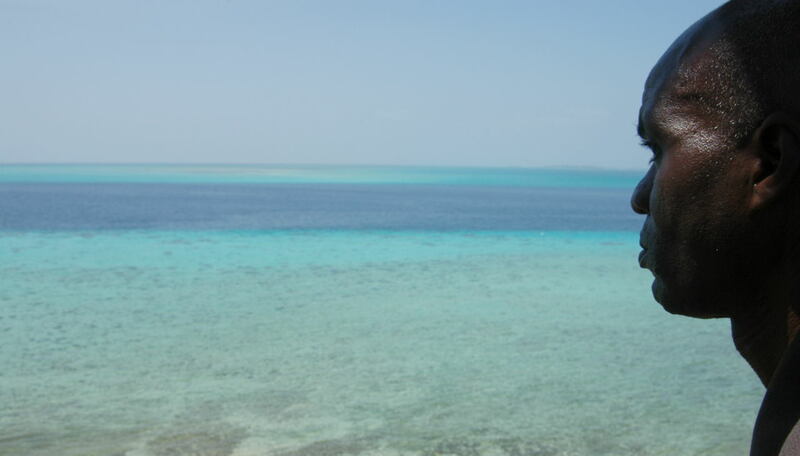 I was at Misali yesterday…the place is trully amazing..Best place for diving and snorkeling. Mbarouk…I was told it was prophet Suleiman …why the contradiction? And i have never heard the name prophet Hadhar? In fact, everyone i have spoken to said it was nabii suleiman…please clarify this with me..and what sort of records do you have? great to find here your excellent feature on Misali. I’ve been there in january 2007 as a free-lance journalist, together with the russian photographer Ira Alaeva (I am from Germany myself). I feel the Misali project deserves all possible promotion, as it represents an unusual, synergetic, and really efficient approach to ocean and community conservation. We have four major publications in journals on the subject, one in Russia and three in Germany. If you are interested to glance a our work, I attach URLs with copies. The russian journal is “Vokrug Sveta”, which is the russian equivalent to “GEO”. In Germany, “Zenith” is a publication specialized on oriental studies, the other ones are wildlife/travel journals. I am very impressed with your strong initiative for ocean conservation and wish you all the best and plenty of success for your projects. When will OCEAN start on TV, and will it be possible to watch it here in Europe, or on the internet? Mbarouk, life and soul of MICA, besides, is the central hero of our report.